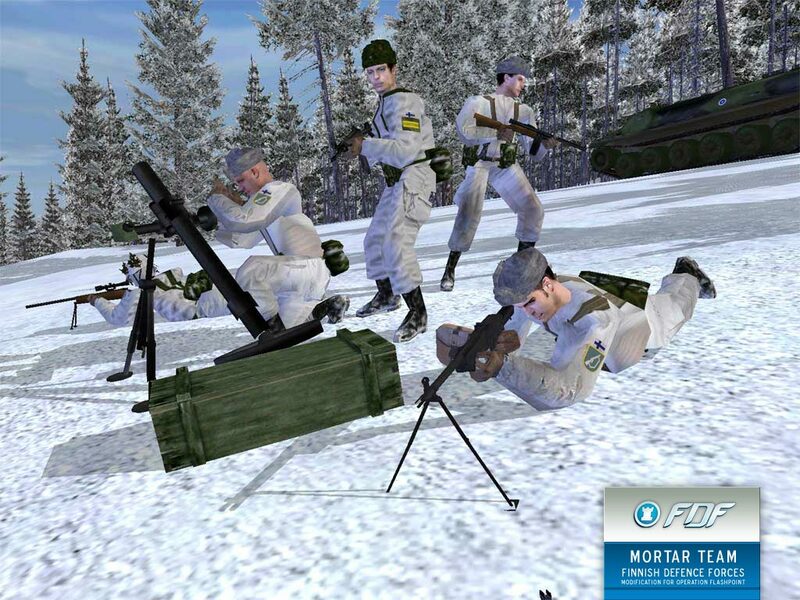 Finnish mortar team engaged with the enemy in the snowy wilderness of Winter Nogojev. Standard 81 KRH 71Y is being deployed to firing position under the observation of Finnish company CO. On the background reservist unit covers the rear with Suomi M1931 SMG while sniper observes the front line with TAK 85 sniper rifle. KvKK 62 machine gunner covers the left arc. Notice different winter camo pattern between snow suits.